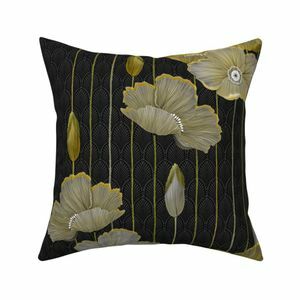 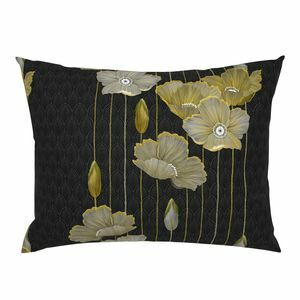 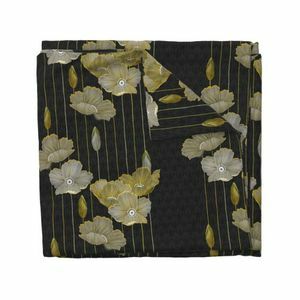 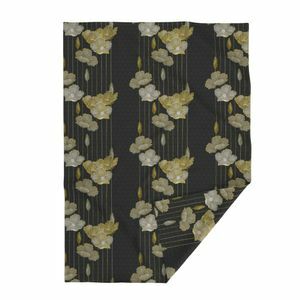 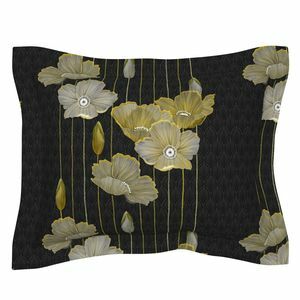 Large handrawn poppies in golden tones on a dark Art Deco background. 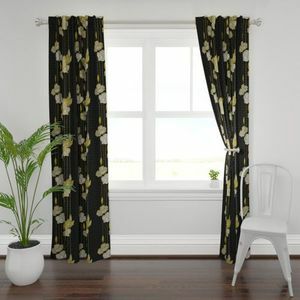 Suitable for homes furnishings, wallpaper and clothing. 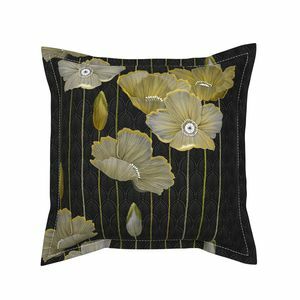 Elegant design.